New Year’s Eve is the perfect time to celebrate with family and friends. 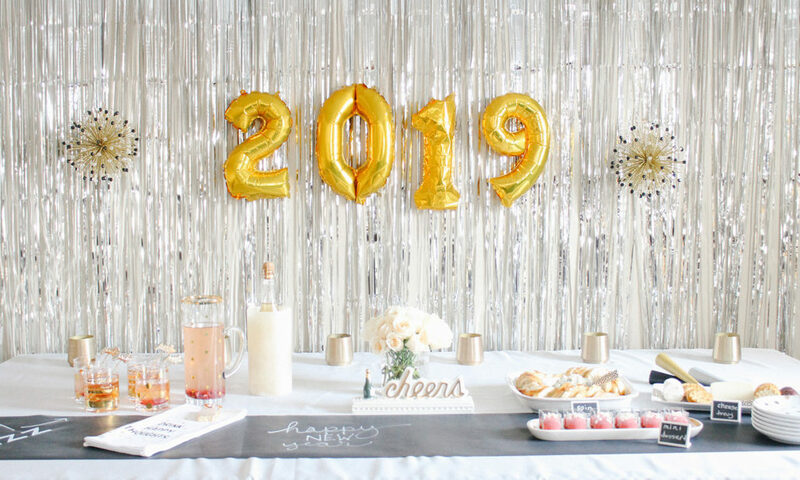 Reflecting on the good times in 2018 while planning resolutions for 2019 can only be improved with food, friends and a few fizzy drinks. 2019 is right around the corner and I have started to think about how we will celebrate New Year’s Eve this year. A few years ago we celebrated with close family and friends at our home and it was so much fun! I love small, intimate gatherings so ringing in a new year with our closest friends is my ideal way to celebrate. 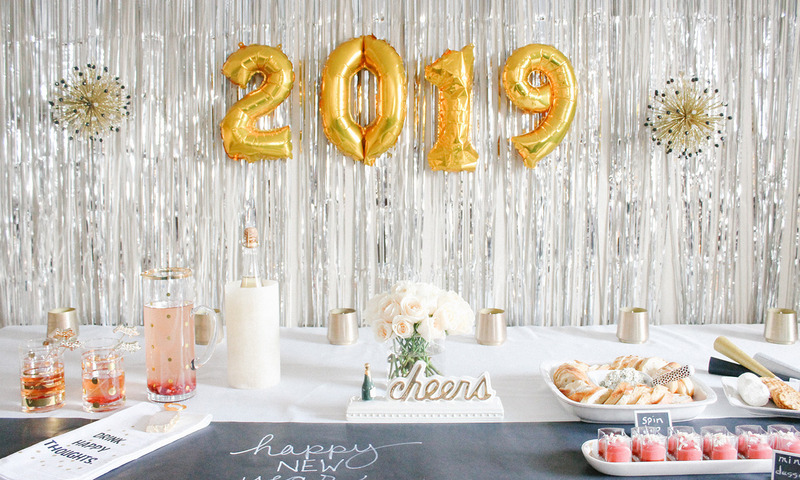 Today I am partnering with Borsheims to give you some fun entertaining ideas to help you host your own New Year’s Eve party at home. Every good party needs some delicious appetizers, a special drink, and since its New Year’s Eve a champagne toast at midnight is a must! 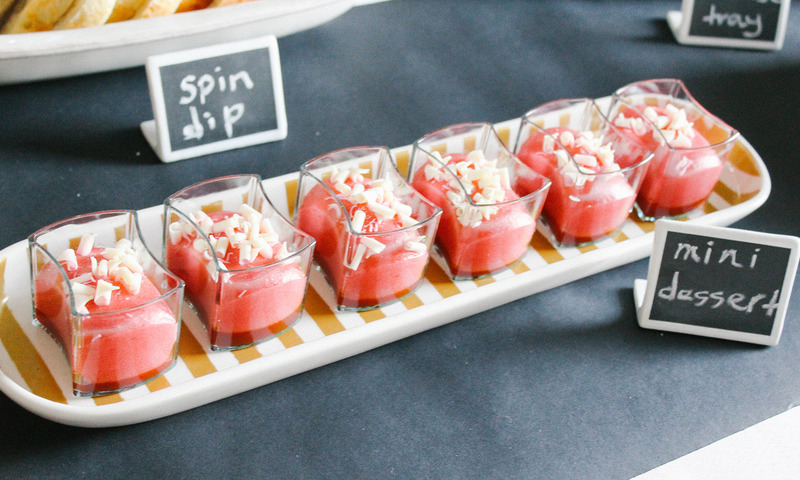 First, let’s talk about decorating the table where you will display your appetizers and drinks. 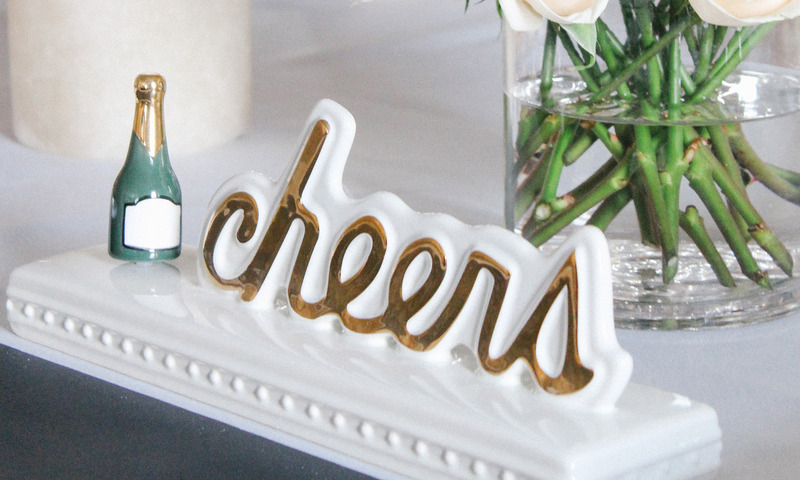 Nora Fleming cheers sign could not be more perfect for New Year’s, and you can switch out the champagne mini for future occasions. 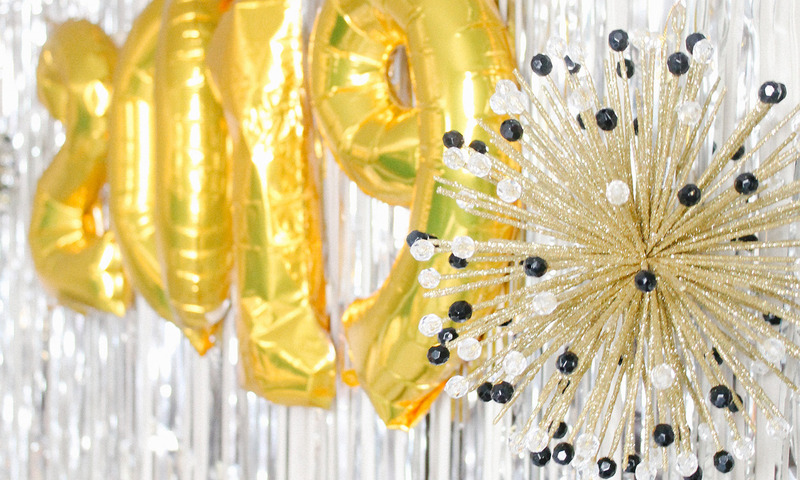 Black, silver, and gold are fun colors to use for a New Year’s Eve party and these sparkly orbs from Mackenzie Childs add the perfect touch of glitz. I lined the back of the table with candles to give it an extra warm glow. 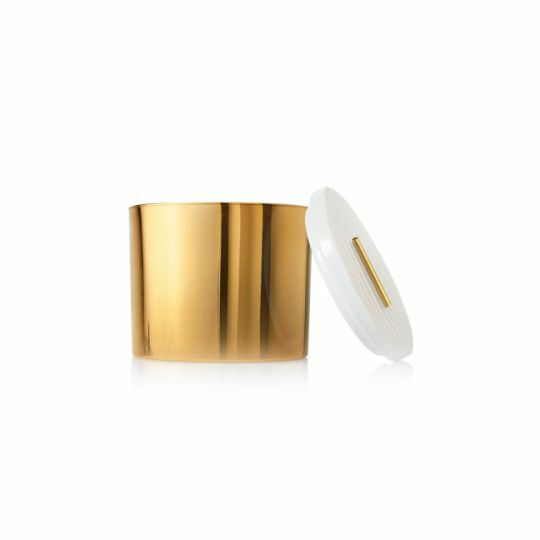 These gold candles are beautiful and also smell amazing! They are my favorite winter scent. 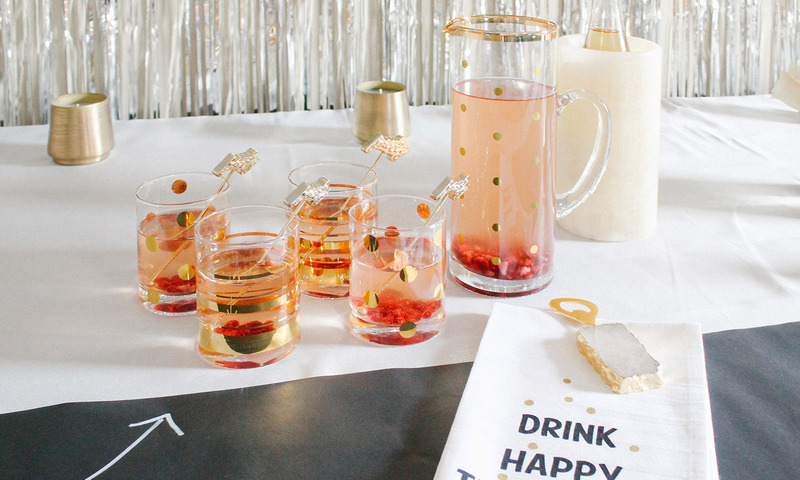 This special pink drink looks even more festive in this beautiful 8 Oak Lane pitcher and gold Kate Spade glasses. 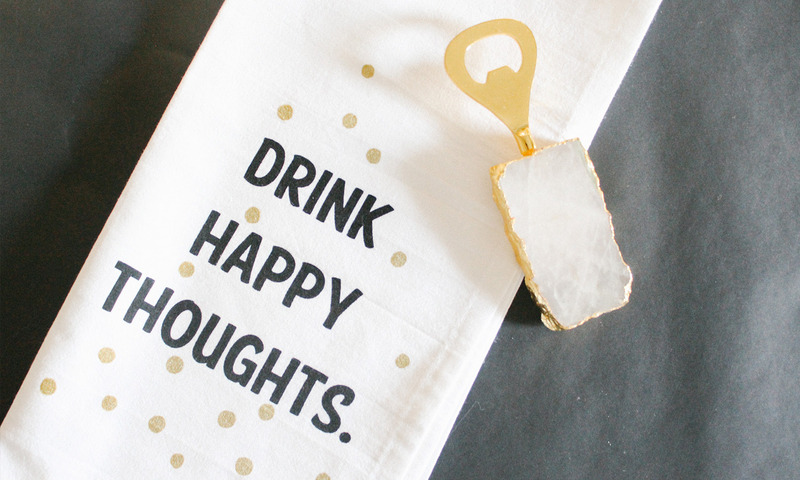 This bottle opener is so pretty and how cute is this hand towel? They would make great hostess gifts, too! 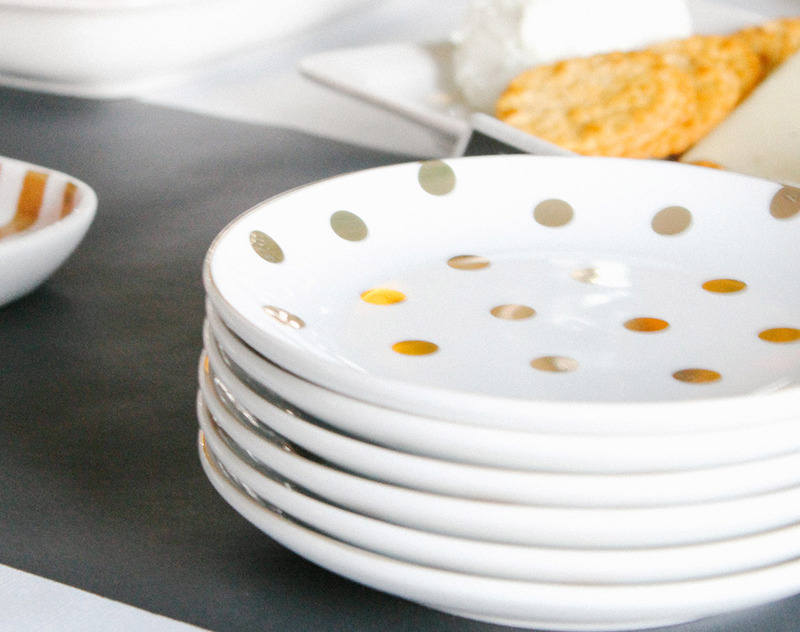 These cute polka dot plates coordinate so well, and add a festive touch! 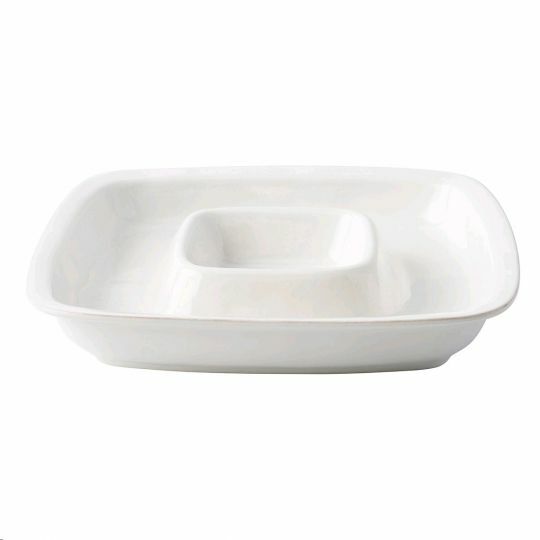 These simple white serving pieces from Juliska are beautiful and provide a nice blank slate for your appetizers to stand out. 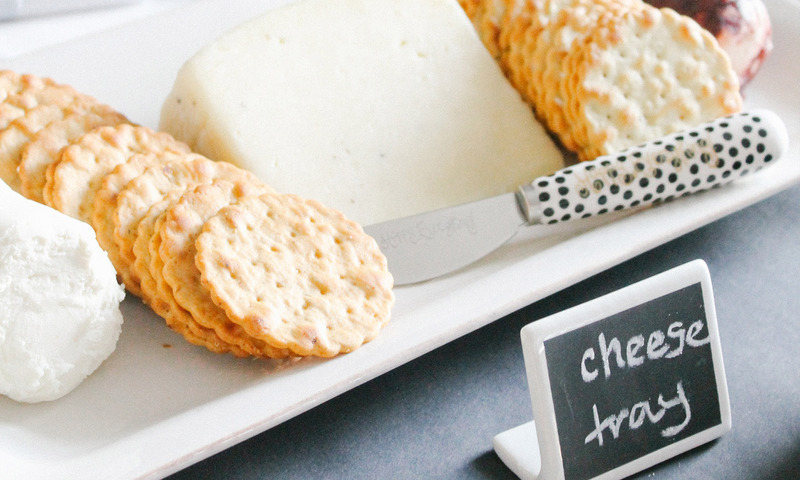 I find it helpful when food is labeled at a party and these cute chalkboard markers can be used over and over again. 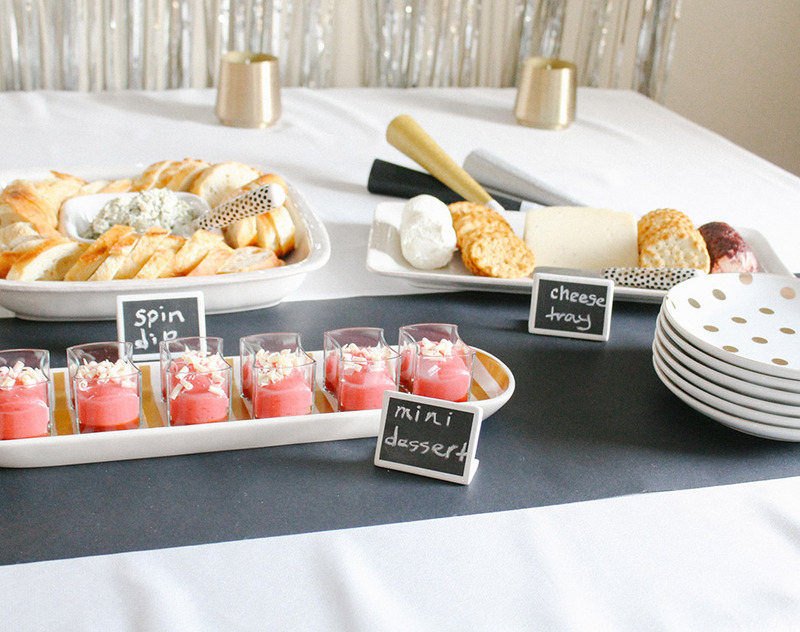 This oval striped tray is perfect for my gold, silver, and black New Year’s Eve theme and displaying mini desserts! Another cozy and fun idea is to have snacks available where your guests will sit down and hang out. 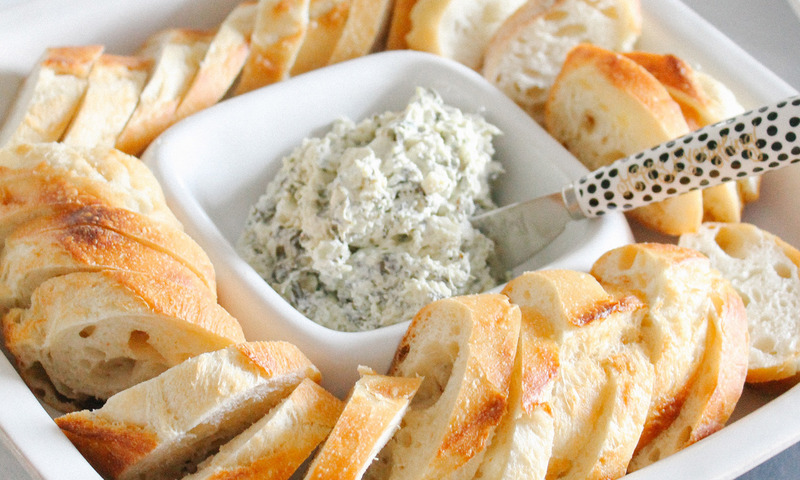 This three section serving piece is perfect for providing all the snacks! 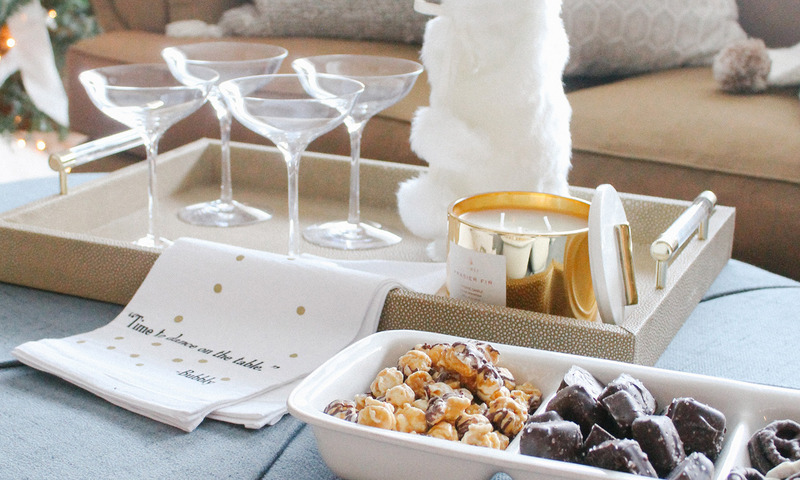 I think this hand towel and furry champagne bag are so fun for New Years! 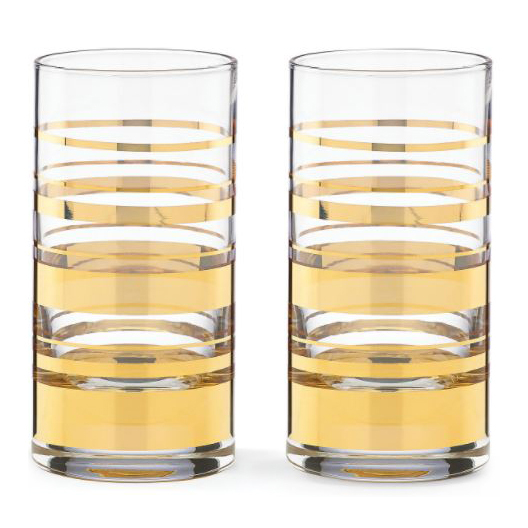 And I am loving the shape of these Waterford champagne coupes. 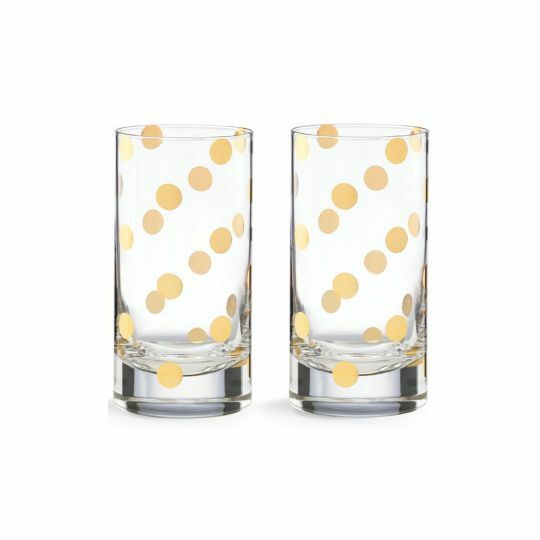 They are so pretty and perfect for a midnight toast! 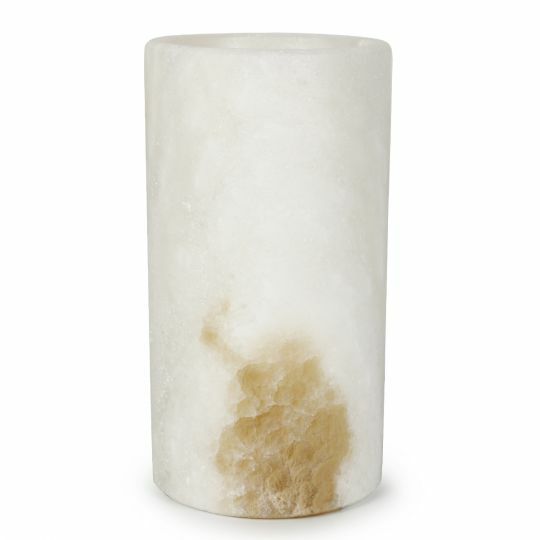 Borsheims has so many affordable and beautiful pieces to help you celebrate New Year’s Eve at home this year. Wishing you a wonderful holiday season and a happy New Year!